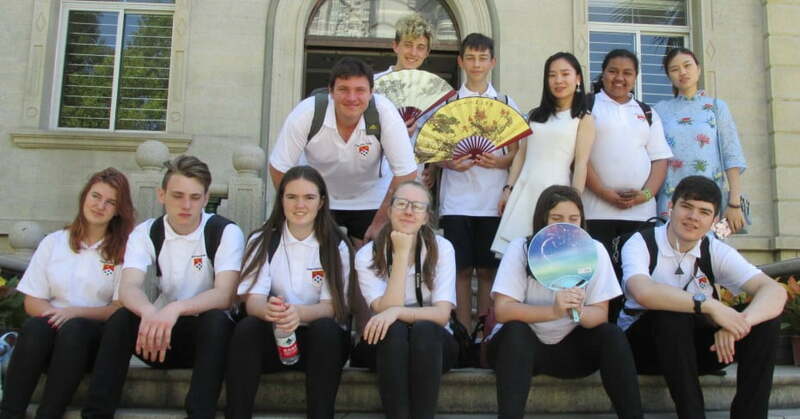 Thanks to Airpoints™ for Schools donations, Mandarin language students from Edgecumbe College were able to travel to China on a cultural exchange. Thirteen Edgecumbe College students had the opportunity of a lifetime to visit their sister school, Xiamen No.1 High School in China’s Fujian Province. With help from Air New Zealand and Airpoints members, the school were able to extend their trip to include Beijing and Shanghai for a greater Chinese cultural experience. The young Kiwis were billeted with local host families and attended school with their Chinese buddies for an insight into daily life for Xiamen kids. Edgecumbe College were greeted with overwhelming hospitality and were welcomed to Xiamen No.1 High School with a traditional musical performance and a presentation of artwork. At school, students experienced regular subjects like mathematics and science as well as many cultural activities including creating clay sculptures, attending lessons in calligraphy and kung-fu, and learning a Chinese folk song as part of the Mid-Autumn Festival celebrations. The exchange was incredibly eye opening and the Kiwi students saw many differences to their small school in the Bay of Plenty. The biggest contrast was the size - Xiamen No.1 High School has 5500 students and the rural pupils were very impressed attending a PE lesson with only one teacher in charge of 300 students. Another unfamiliar concept was staying at school until 10pm to be part of the night study session. One of the highlights of the trip however was the signing of the final agreement for the sister school relationship document. Students saw the best that Beijing has to offer including Tiananmen Square and the Forbidden City, the Temple of Heaven, the Summer Palace ruins, pandas at the Beijing Zoo, and the Mutianya Great Wall – an uplifting experience to walk on the 1000-year-old wall. At the Beijing Olympic Stadium, the young Kiwis pointed out Dame Valerie Adams and Nick Wallis' names etched into a wall of stone to celebrate the medals won at the 2008 Olympic Games. An exhilarating journey by bullet train (traveling at speeds of up to 348km/h) took the group to Shanghai where they shopped at Chenghuang Miao Market and visited the traditional Chenghuang Miao Garden. "This has been a life-changing experience for me. Now I know there is so much to discover." - Samantha Burr, Year 12 student at Edgecumbe College.